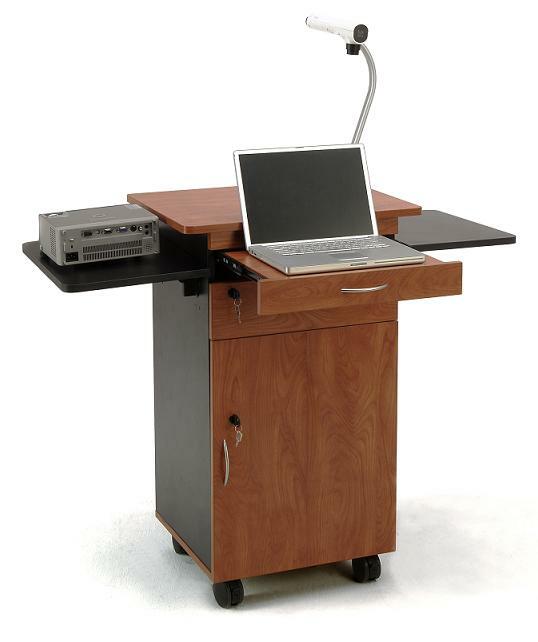 The new Multimedia Cart from Oklahoma Sound provides practical solutions for your presentation environment. 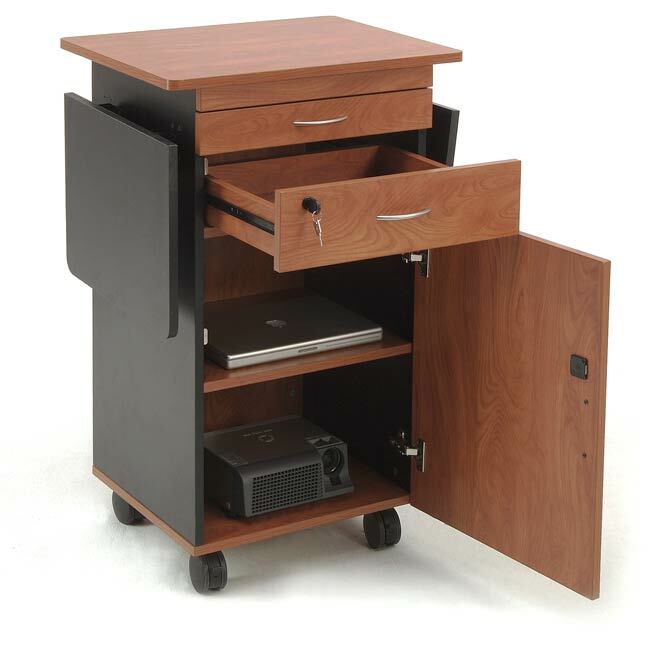 This functional media cart allows for smooth mobility along with practical storage solutions. The cart features a front slide-out shelf, perfect for your laptop. 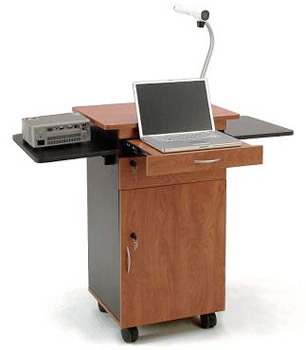 Enjoy a large work surface area and dual flip-up side shelves for a document camera, laptop or projector. Storage is available in the locking cabinet (with adjustable-height shelf) and locking drawer.